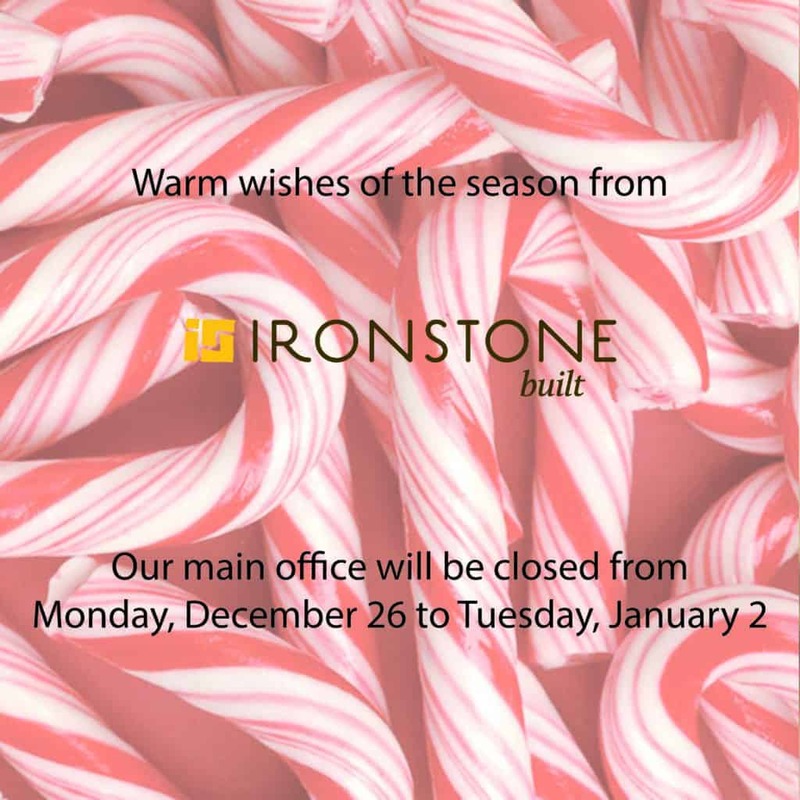 Merry Christmas from everyone at Ironstone Building Company! Our holiday office hours are below. For urgent matters please leave a message on our main line at 226.777.9538 and someone will return your call within 24 hours.